If you have the opportunity to book Tina Sbrigato, DO IT! I have always appreciated good photography, but I am now sold on the difference a REALLY GOOD photographer can make for special photos, or in my case an event, namely my wedding. Tina was amazing. I don't think I could have asked for a better experience (or, as luck would have it, a better match of personalities and aesthetic sense). I cannot recommend her highly enough - her eye, her style, she is so, so talented and stands out in her field. Tina has such a subtlety and sensitivity about her and her photography, and they were evident work and style/manner. Nothing felt forced or posed, she beautifully captured portraits, moments and emotion in a very intimate way. I also loved her variation of texture and depth - some clear color shots, some grainy sepia, etc. I felt an immediate comfort level and closeness to Tina, which was key, and I would never have believed that she hadn't been to Philadelphia before by the way the photos turned out!!! She had my 100% trust right from the start, and really delivered! We couldn't be more pleased. Tina Sbrigato was great! She captured our wedding beautifully, definitely better than I hoped for. I would recommend her to anyone who is looking for a photographer to capture their special moments. Tina not only captured some great images, she did it with a smile and was very friendly. She traveled to our home, wedding site, and reception venue. Five stars definitely!! Book her up while you can. 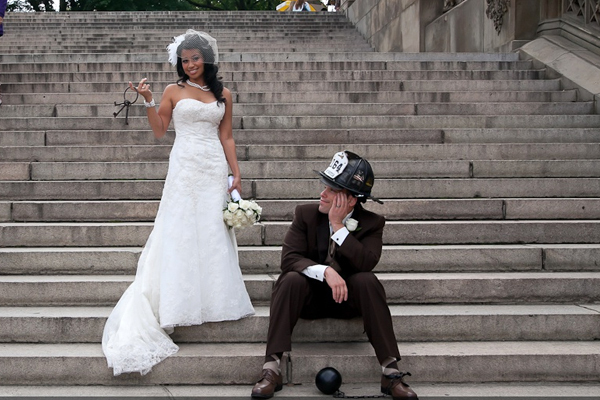 Tina at Fahrenheit NYC photography was excellent from start to finish. 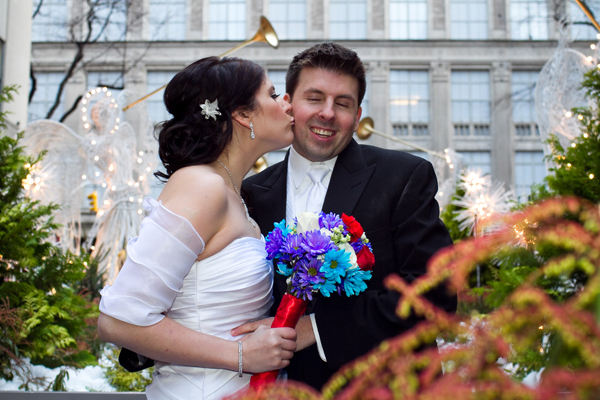 I am from the UK and got married in NYC, having never visited NYC before. My first photographer let me down 2 weeks before and thankfully I found Tina. She took our booking straight away, was helpful and quick in repsonding to my emails. Tina was accomodating with many aspects of the wedding to provide exactly what we wanted and her professionalism shone through. The photographs say it all. We are both so pleased with Tina's work and all our guests have commented on how hard she worked throughout the day, how personal she was and the quality of the images. Overall a great experience. Thank you Tina! I contacted Tina via email from Canada as I was coming to NYC to get married and wanted a photographer that would work with me to capture my NYC moments on my wedding day. I knew when I contacted her that I liked her work (check out her blog--there are some fabulous pictures) and hoped that she would be good to work with. From the first time I talked to her, she was on board with my plan--which was to take pictures at our outdoor wedding ceremony in December, and then to come with us to several other (mostly outdoor) locations so that we could get pictures there as well. She was very enthusiastic and worked with me via email to put together a plan for my wedding day. On the day of the wedding, Tina met us as planned in Central Park and managed to take fabulous pictures despite the fact that she was probably very cold (I know I was!). She then came with us to the Rockefeller Centre area to take pictures with the Christmas tree, Grand Central Station and Times Square. I got to see the pictures last week and they are amazing. She got a ton of fantastic shots and I'm so happy to have the pictures from my wedding. Tina was so good to work with and the finished product is fantastic I would definitely recommend her!!! 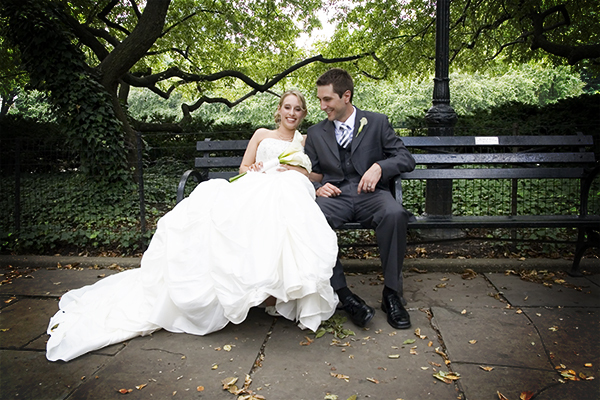 I had a choice of which photographers to choose from with my Central Park Wedding package - and I chose Tina. I am so happy I did...she was nothing short of excellent. I have never met someone in the wedding business that could remain so incredibly friendly, accomodating, and professional the way Tina has. She was cheerful, supportive, and calming, and made me feel so comfortable on a day that my heart was fluttering a thousand miles a minute. Last, but not least: the photographs. Gorgeous. She really is artistic. I will let her work speak for itself. Thanks SO much, Tina, from the groom and I. 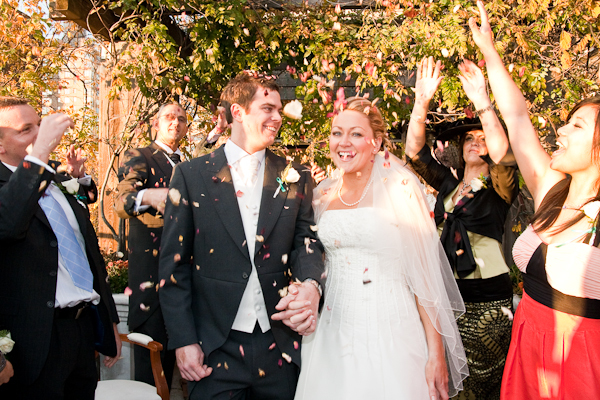 A picture can speak a thousand words - and that is what all of our wedding photos taken by the fabulous Tina do! 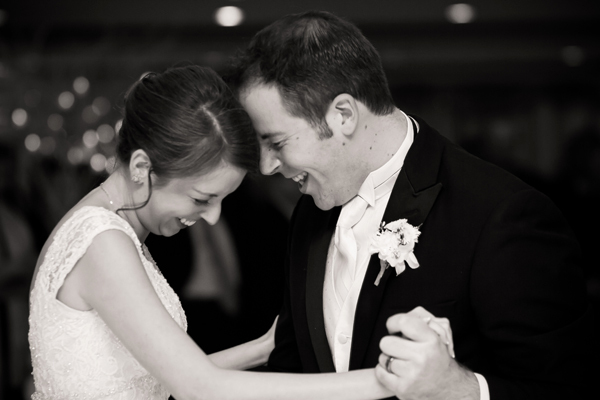 Aside from being sweet, accommodating and funny, Tina was a great addition to our wedding. We learned about her through a friend and we're so thankful I did! She was able to capture moments-in their natural state- from our wedding that mean so much to us. 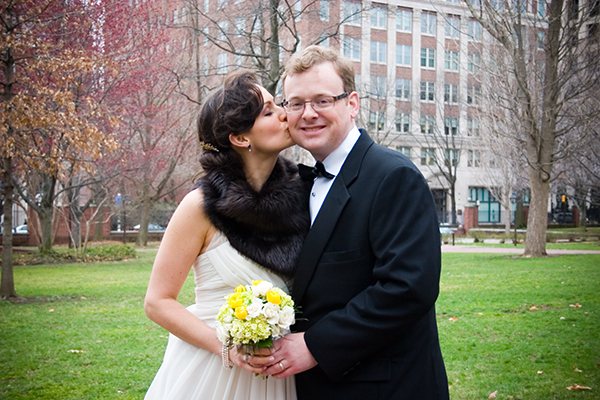 There isn't enough we could say to recommend Tina enough to any other bride and groom. She is a part of what made our day so special!